Landscape maintenance is needed for property to appear beautiful. It is crucial for a homeowner to consider regular mowing of the grass in the landscape for them to have the appropriate shape and size. Michiana Commercial Landscaping is a company that is focused on offering services that will make your landscape appear beautiful. The focus on the exterior design of a house is important in ensuring that there is an extended life to the property. It is vital for a business owner to ensure that the grass remains short for a proper landscape. The cutting of grass in the lawn and landscape provides the owner with a proper place to relax. The commercial lawn care is used to provide proper maintenance of the landscape. Commercial lawn care is a service that is offered by professionals to ensure that businesses lawn appear presentable. It is vital for an individual professional lawn mowing is used to remove the debris in your landscape which is essential to attract visitors. An individual is required to focus on a clean compound that will be loved by visitors. Commercial lawn care focuses on business owners to make their organizations widely accepted in the market. Michiana Commercial Landscaping is a company that uses professionals in mowing your landscape for a sustainable flow of operations in the market. The mowing is done on driveways, sidewalks and other areas in the landscape to make it attractive. It is crucial for a business or a homeowner to focus on landscape mowing to ensure that the debris is eliminated. Debris in the landscape is the home of harmful animals and insects requiring a regular checkup of your landscape. The mowing machines used by Michiana Commercial Landscaping aims at enhancing service delivery to the clients. The use of technologically advanced machines aids in effectively mowing the landscape based on the clients’ need and design. Professional lawn mowers can develop a unique design for your landscape that will make it eye-catching in the neighborhood. 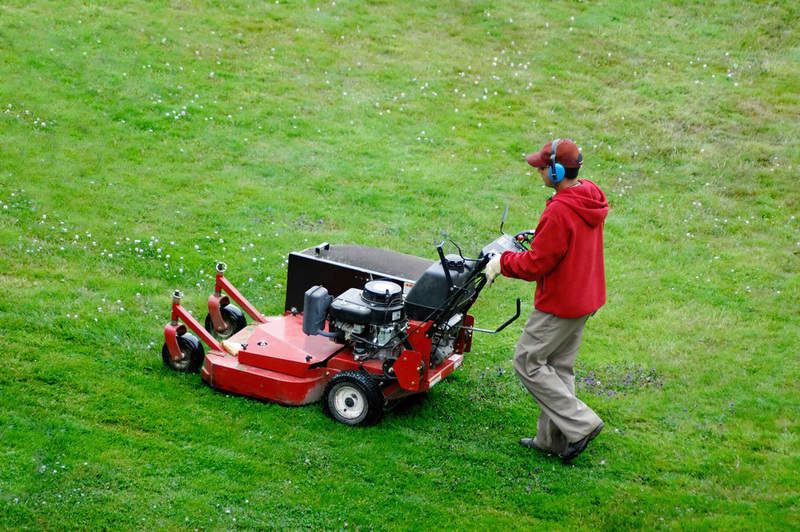 The regular mowing of your property requires a homeowner to contract a company. Michiana Commercial Landscaping offers affordable commercial lawn care contracts for a continuous mowing of your property. The experienced staffs can identify the need for regular landscape mowing. It is important for homeowners to use commercial lawn care contracts to save costs. The commercial lawn care pricing considers the length where prices are in dollars per foot. The charges are meant to increase the number of people willing to use Michiana Commercial Landscaping for lawn maintenance.